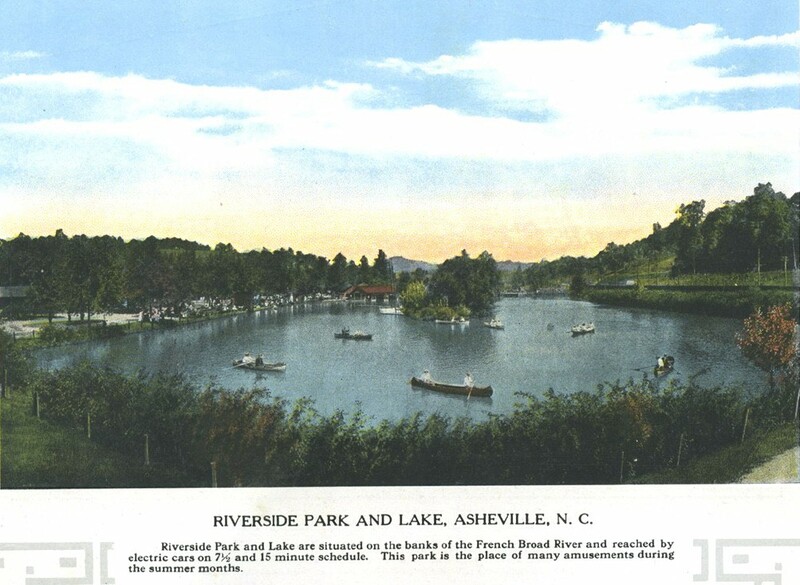 Riverside Park existed in Asheville from the 1880s until 1916. Based on differing resources, the opening is not clear, but is generally thought to be around 1902-1904. (As I find definitive sources, I will update the article.) It was on the banks of the French Broad River and would be considered a trolley park, by most definitions. 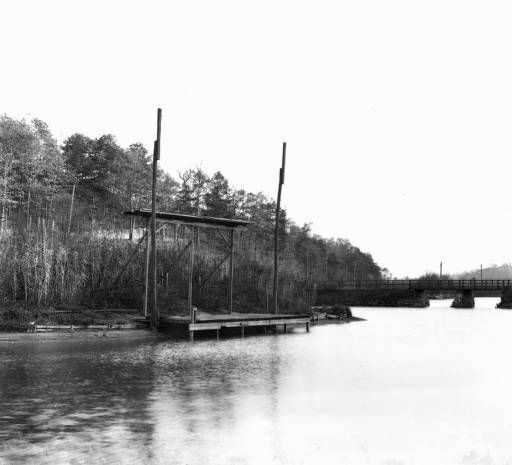 The Great Flood of 1916 overtook the banks of the French Broad river and utterly destroyed the park. It was not rebuilt. The first electric rail system (or electric trolley) in North Carolina was in Asheville and it debuted on February 6, 1889. As with most early amusement parks, the local electrical companies created the parks to provide extra income on evenings and weekends, when most businesses were closed. Usually, trolley parks were located at the end of a specific trolley line. Based on newspaper articles, Riverside Park existed in some format as early as the 1880s. I found a newspaper article that mentioned that Riverside Park sold for $20,000 on June 12, 1890. After that, there is mention of the park used for different purposes, including a race track and baseball field. Was it a city-owned park? 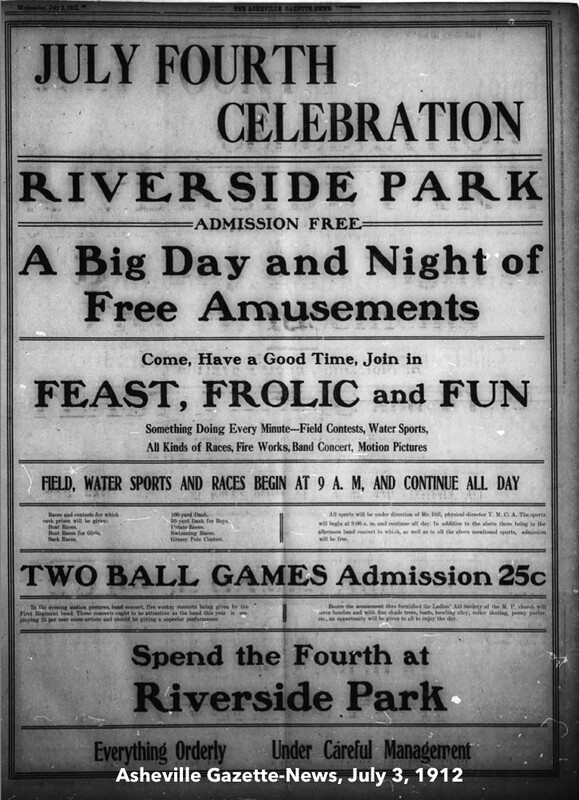 The Riverside Park Amusement Company (also written as Riverside Amusement Company), managed by Col. H.V. Horton and W.W. Moore was created on or after March 20, 1901. This was the company charged with running and operating Riverside Park for the Asheville Electric Company. In 1901, an employee of the Asheville Electric Company dies while stringing electric lights in the park. The Casino opened on June 17, 1901. A hypnotist appeared at the Pavilion and there was mention of seats and a shelter installed. The Riverside Park Menagerie debuted in 1901 with a groundhog, two squirrels and a raccoon. An article that appeared in 1912 discussed Katie the Bear, who was purported to be the first animal in the Riverside Zoo. Sadly, she passed away (or was euthanized) in 1912 after becoming rather grizzled over not being fed sugary treats. A sad part of the tale is that Katie’s meat was sold to citizens in the local market. No one was sure if anyone knew this at the time. E.M. Martin was mentioned as the manager of the Casino in 1902. There was also mention of a new loop for the track that would pass the car barn and the old race track (assuming this is the new trolley track?). 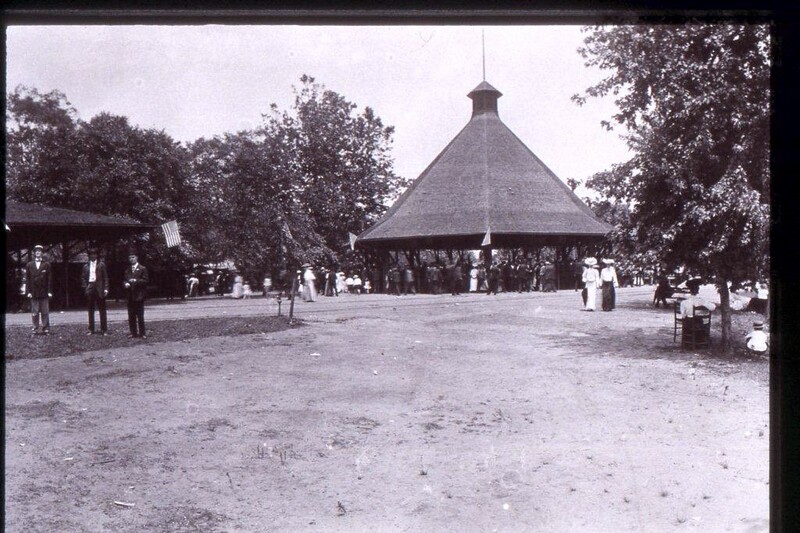 The Merry-Go-Round opened on June 12, 1902. 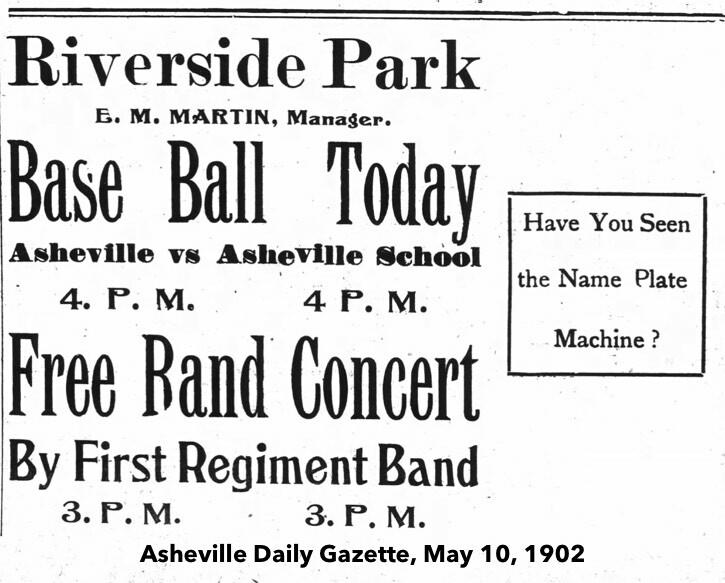 No mention made of Riverside Park from 1903-1909 in the Asheville paper (might be missing from the archives). In August of 1909, there is an advertisement for auxetophone concerts. Auxetophones were powered phonographs, in their simplest terms. They used electricity to power the amplification and were much louder than ones used in homes. One website reports that they were not suited for home use and would be used for public exhibitions. In the case of Riverside Park, the auxetohpone would have been used to provide music when an orchestra was not available. There was consistent advertisements for moving pictures every evening. Featured were films from Edison and Pathé. The movies were shown on a screen across the lake. The assumption is that people gathered on the shore to watch the short film presentations. Movies were shown on this screen across the lake. An article in the May 1910 North Carolina Education Journal by Asheville High School faculty Helen C. Robinson, featured reasons people would want to explore Asheville. The article mentioned Riverside Park with its lakes, zoo and other attractions. An article about the opening of the summer season in 1910 discussed moving pictures, boating and other amusements. The First Regiment would perform concerts three times a week and the skating rink would be converted into a dance hall on two evenings for an 18-piece orchestra. The skating rink floor dance area was 100 by 150 feet. Electric launch parties were to be continued and the park would debut an electric fountain. The kinodrome was a device for exhibiting motion pictures in the early 1900s. Most of the films were five minutes long and would often be part of a vaudeville billing. 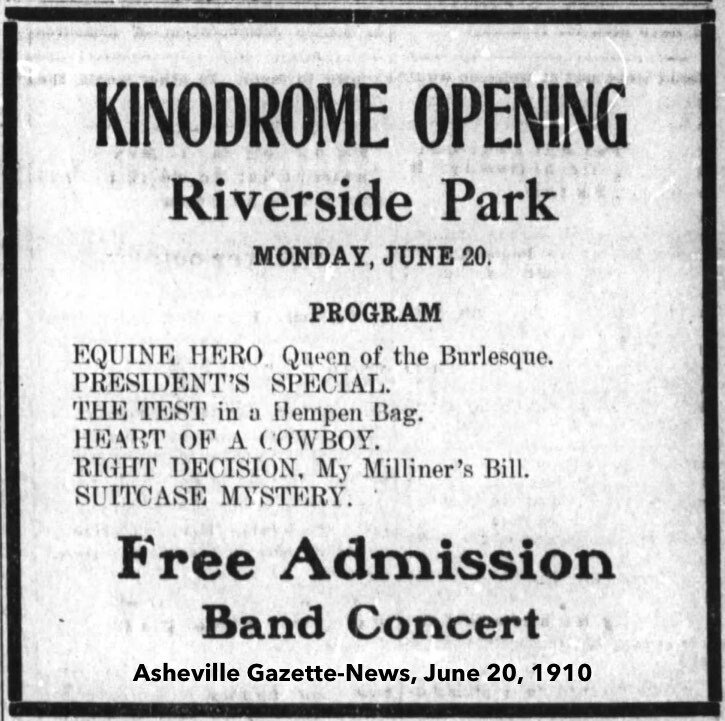 The kinodrome at Riverside Park opened in June of 1910. 1912 saw a lot of press for Captain Blondell, a world famous swimmer, and his swimming exhibition. Blondell spent three days constructing a small boat on the lake while treading water. During the exhibition, Blondell cooked an egg and made coffee on the raft. He also drank a bottle of milk underwater. At some point in the evening, he blew up the ship he had built. Captain L.D. Blondell was a self-proclaimed “Champion Long Distance Swimmer of the World.” He also managed the Dorney Park (Allentown, PA) pool for at least one season in 1900. 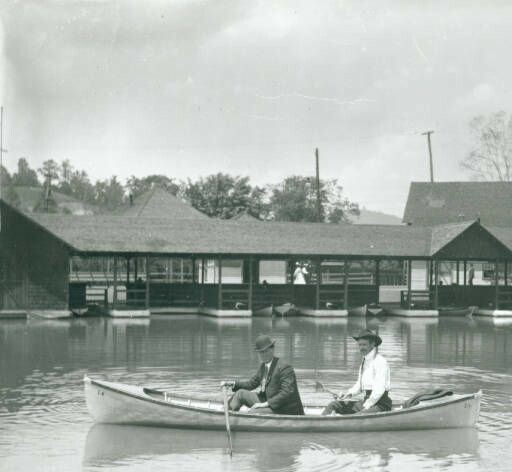 Sunday, July 16, 1916, marks the day of the Great Flood in western North Carolina. The flood waters spilled over the Swananoa and French Broad, devastating the areas along the rivers and destroying Riverside Park. It would never be rebuilt. 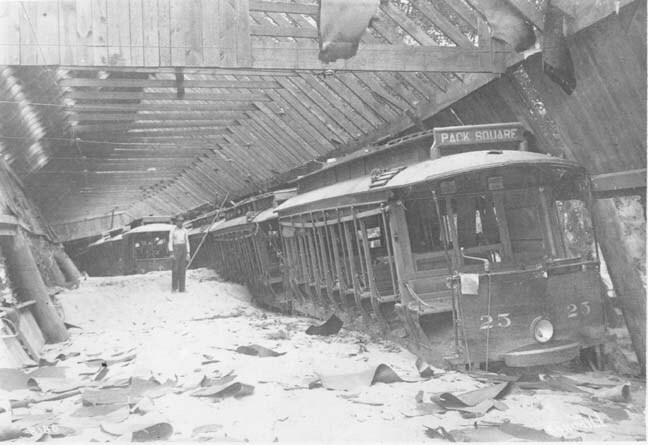 The flooded streetcar barn at Riverside Park..
An article in Our State Online provides more chilling details about the flood. There was six days of solid rain starting on July 5, 1916. A cyclone hit Charleston, S.C., on Friday night (July 14). On Saturday morning, the center of the storm was over western North Carolina. It rained for the next 24 hours straight. In some parts of the area, more than 22 inches of rain fell. The flood was a delayed reaction to the rain as “water upstream gathered and pooled and then broke free again, surging and barreling through the region in violent, debris-laden waves that traveled faster and grew more violent with every mile.” The waters would not begin to recede until Tuesday. 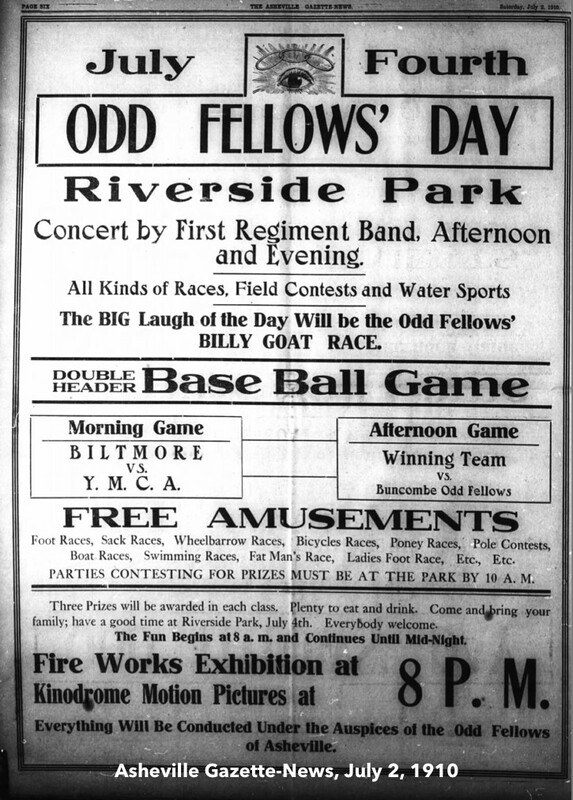 Overall, Riverside Park in Asheville, N.C., was an integral part of the community. The amusement offerings might have been small, but there was a carousel and boating activities. Many of the news reports concerned baseball or church-related picnic outings. 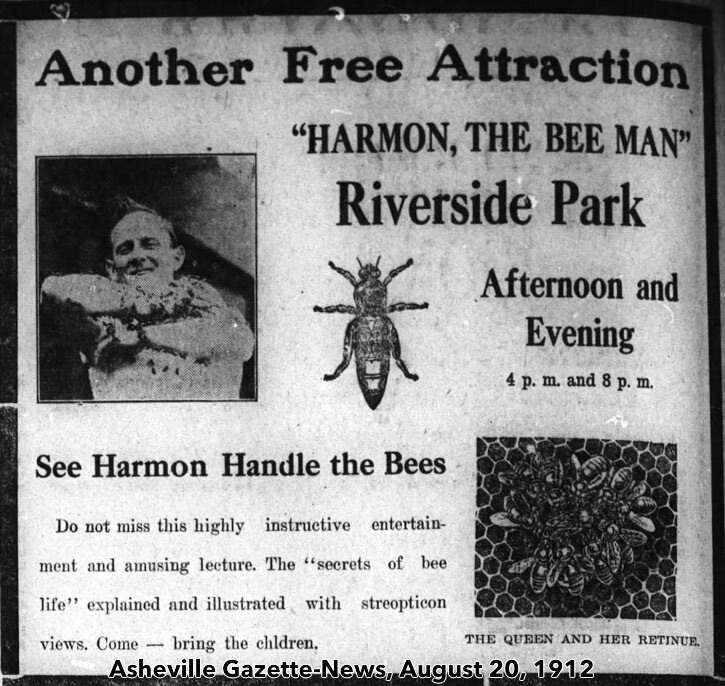 Do you have any information or photographs of Riverside Park in Asheville? Most of the articles used in this post came from Asheboro-area newspapers (as of 6/29/2017). This article is part of an ongoing series detailing the history of amusement parks in North Carolina. Dates and information on the page may change due to new information being discovered. At it’s most basic level, I’m considering an amusement park to have at least one motorized ride (electrical, steam, etc.). Ten Year Anniversary of ImagiNERDing! What’s there now? Is it still a (non-amusement) park? RiverLink’s Pearson Bridge property is another example of how much we value the history of the river, dirty-dirt, canoeing and kayaking opportunities for the river, development of new recreational businesses and adaptive resuse of buildings. We bought an old Tire Store at Pearson Bridge in 2011 because it is the site of the historic old Riverside Park, a part of the old city owned landfill, a perfect location for Asheville Adventure Rental Company to help you enjoy the getting on the river and of course it was a BIG eye-sore! Take a look at the before and after photos, historic photos, old landfill maps and promise yourself to get on the French Broad River today to have some fun, get healthy and enjoy this resource we share. I’ve have copies of and have seen quite a few articles from Asheville newspapers of the 1900’s era advertising football games were played there also. Apparently, it was the center of social life in Asheville for the first decade of the 20th century. Thanks for the comment! 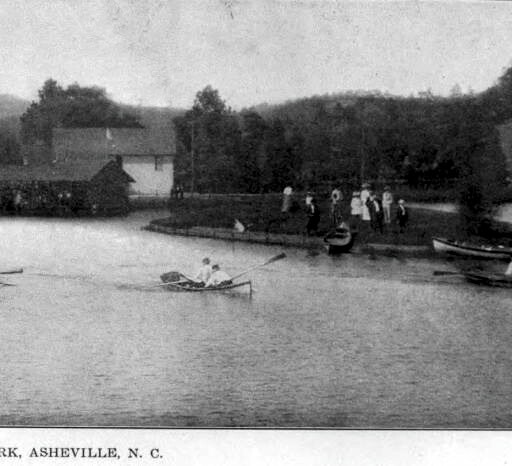 “In 1904 the Asheville Electric Company built a river park near Pearson’s Bridge in Asheville which was called Riverside Park. Asheville Electric Company owned the city’s streetcar system. It was a popular trend for the streetcar lines to build amusement parks in the cities they served. Riverside Park was built by creating a diversion from the river which created a small lake by the riverside. Structures included a boathouse, carousel, roller skating rink, stadium seating a pavilion and a movie screen. The park was served by the streetcar line which descended from Montford Avenue. The park was very popular with the citizens of Asheville. 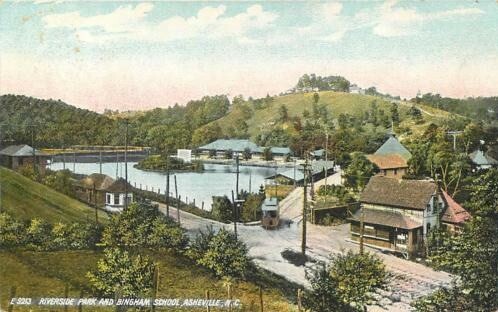 I have an old post card titled Riverside Park & Bingham Hill, Asheville, NC. My grandfather was there when he was young. How can I attached a picture of here? Tom, I’m not sure if you can attach it to a comment, but if you email it to me, I will be more than happy to add it to the post along with any other comments that you have.